Anna has held art teaching positions at Heidelberg International School, (Heidelberg, Germany), and North Central High School (Spokane, WA, USA), and currently works as an artist in Heidelberg, Germany. 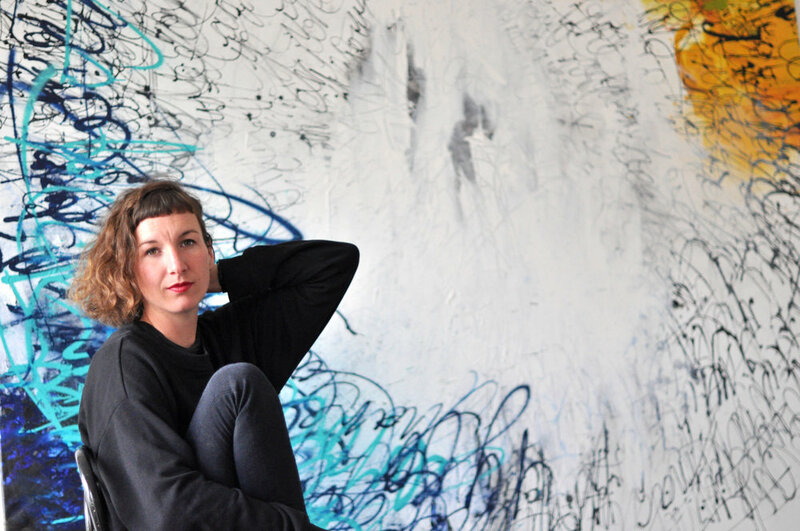 She is an active member of Heidelberg's creative community, running pop up galleries like the Zeitgenießische Gallery, organizing creative markets, and artistic workshops. 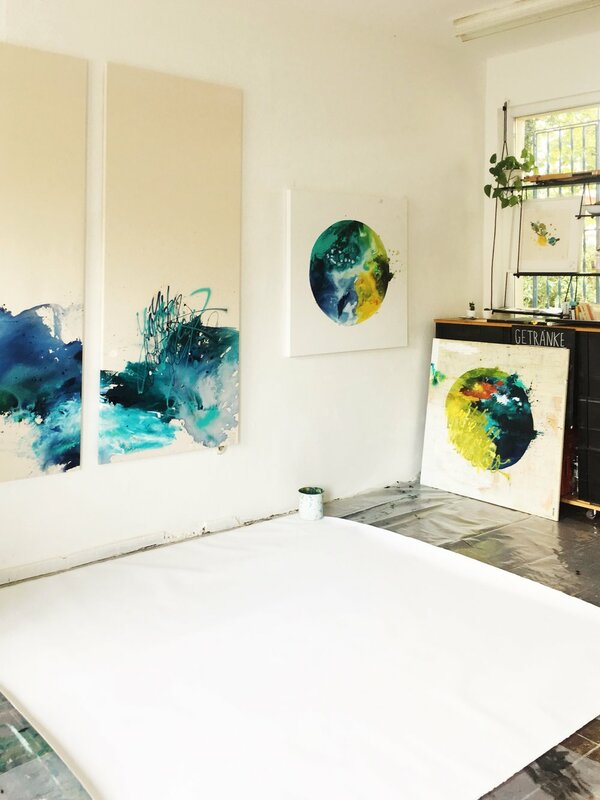 Recent fine art projects include curation and space rental at the Zeitgenießische Gallery, Heidelberg, artist residencies at Mai Space in Chiang Mai, Thailand, and Berlin Art Institute, COLLIDING IN THE DARK a collaborative project with musician Dominik Baer in which she paints a new painting to every song he released in 2018, and a piece as part of METROPOLINK an urban art festival in Heidelberg this summer (2018). She is the recipient of the 2009 and 2008 Art Talent Award at Whitworth University (Spokane, WA, USA). I live seeking understanding of identity, wild, and calm. My current work uses nature, in and around me as my muse. In my outdoor studio on the road or at my studio in Heidelberg, Germany, I investigate the relationship between control and wild. While pregnant I realized how little control I had over my body and whether the little babe in me would survive full term or develop healthily. Since then, I have been conscious about situations in which I have control and don't. Living in this juxtaposition is exciting and nerve-racking. We all can make intentional marks in our lives but a the same time, there are natural elements which are out of our sphere of influence. I find calm and quiet in my work and in this life, even when control and wild are so near one another. In my current practice, I find this calm when pushing and pulling paint on the canvas, dripping, and making marks and layers. I am using materials that are at times out of my control, such as swirling fluid paints and inks. I can influence them, but they move and collide when I turn my back on them for a moment. Walking this fine line of intention and chance is what interests me most about life and painting. -curate and exhibit shows by local and international artist at a gallery space in Heidelberg. -Exhibit work in the gallery space. -Write a blog featuring posts about home, art, adventure, and my experiences living a creative lifestyle. -Develop and execute art curriculum for grades 6-12. -Mentor students completing their diploma in Visual Ar ts. Works held in private collections in Germany, the United States, UK, Australia, and Thailand.